9.75” Refracting telescope made by Thomas Cooke & Sons, 1867. Grubb & Parsons clock drive added circa 1879. 5" W Watson & Sons guide scope added either 1896 or 1905. 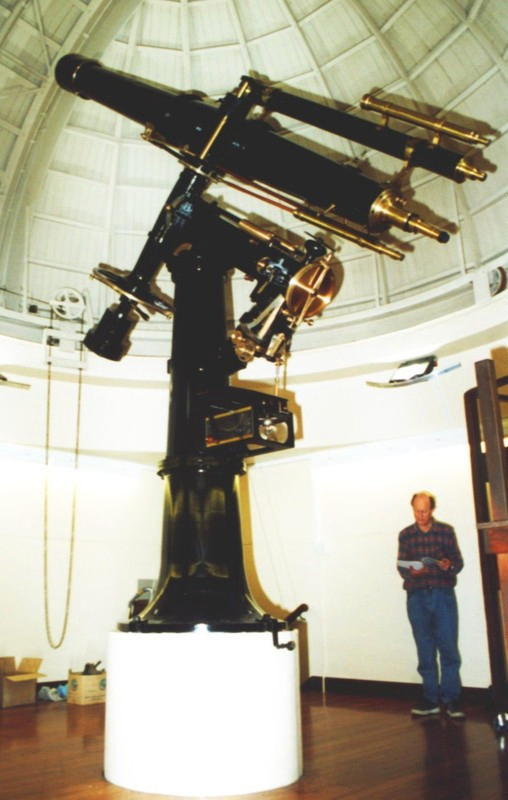 The current lens - a 2-element aplanatic objective, was made by Garry Nankivell circa 2001, after several changes throughout the telescope's history. 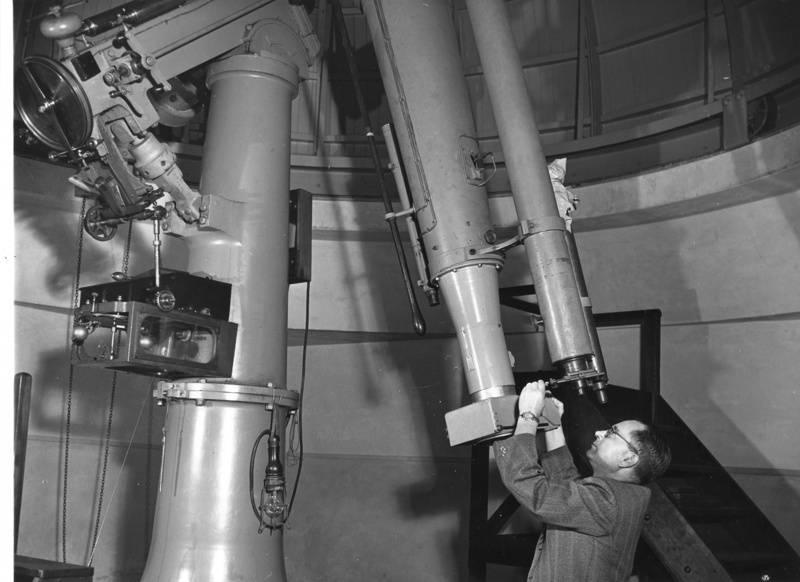 The telescope was built for Edward Crossley, a wealthy British industrialist. 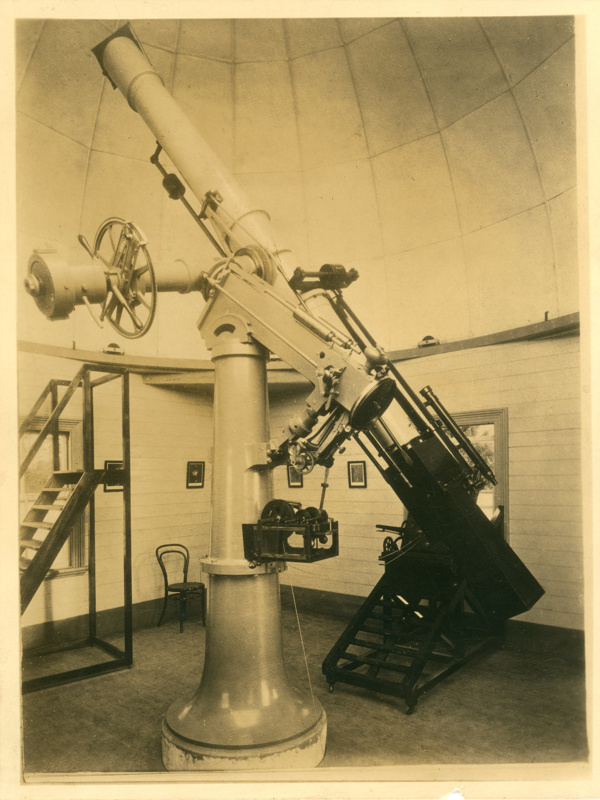 After Crossley's death in 1905, the telescope was sold to the Reverend Dr. David Kennedy, the Superior of the Marist Seminary at Meeanee, Napier, New Zealand. 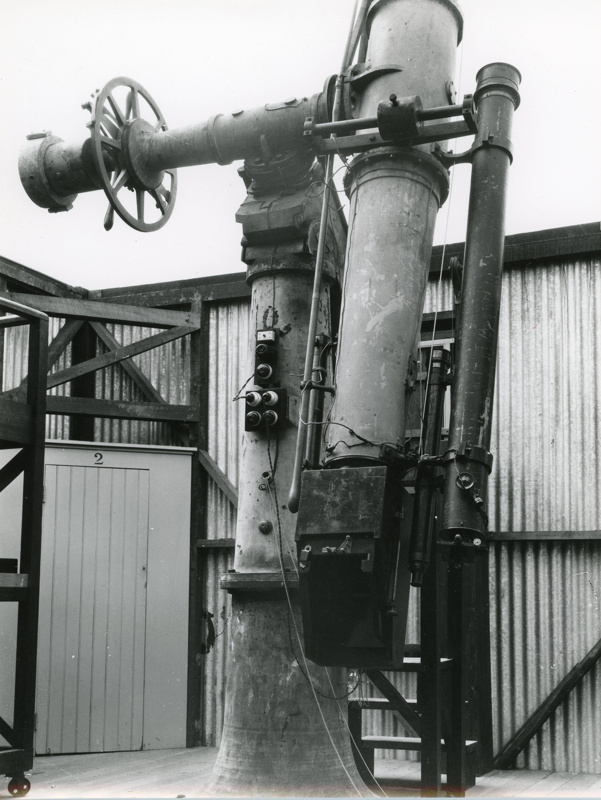 It was sold to Wellington City Council in 1923, and in 1941 transferred to the care of Carter Observatory as a provision of the Carter Observatory Act (1939).